Clean, safe and efficient: the Nilfisk formula for chemical manufacturing. Cleaning and sanitizing chemical production environments plays an important role not only for safety but in production efficiency and effectiveness. 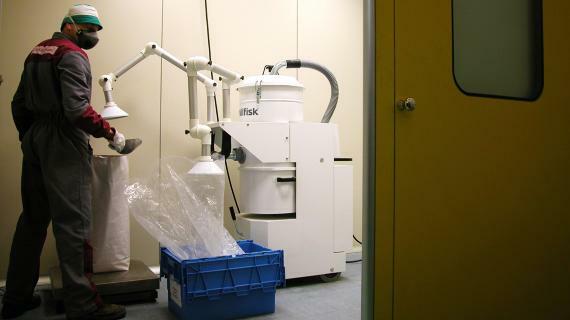 In chemical manufacturing, cleaning means safety, comfort and efficiency, Nilfisk products help improve the quality of life of all operators in the chemical environment. Why should you choose Nilfisk in the chemical industry? Nilfisk has long been one of the leading global manufacturers of cleaning machines for the chemical industry. We offer industrial ATEX- certified sweepers, scrubber dryers, centralized vacuum systems and pneumatic conveyors that can satisfy any safety and cleaning need in the chemical manufacturing industry. 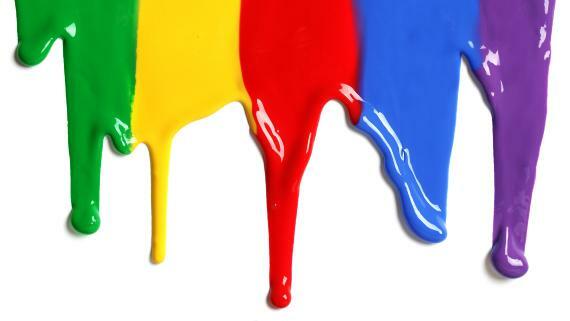 Collecting paint dust after every session from the painting booth is necessary to maintain a safe environment and also to avoid to ”polluting” the product during the next painting session. For this application, Nilfisk provides both electric and compressed-air industrial vacuums that are ATEX certified and able to operate in the presence of these materials without risk of causing ignition. The vacuums can be used in ATEX zones 1, 2, 21 and 22. Fertilizers are commonly used for house plants or in agriculture, but they can be harmful to humans if touched or inhaled. 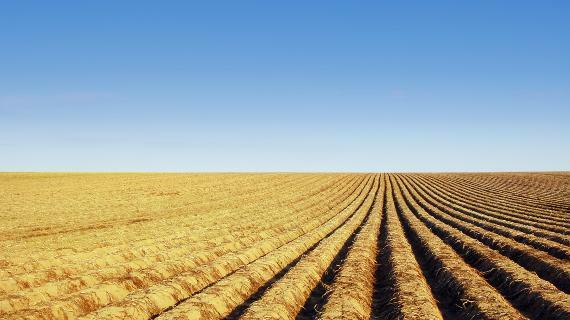 Nilfisk is now a leading supplier of industrial vacuum cleaners designed to collect any type of fertilizer micro-dust thanks to absolute and multiple filtrations. 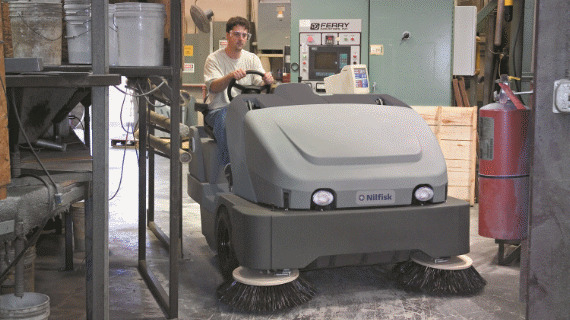 Relying on Nilfisk means not just cleaning the floor, but protecting the health of your operators. Today closed loops are widely used on all PVC installations processes with automatic control, these processes include the control systems for emissions abatement. Nilfisk is present in the manufacturing process, providing pneumatic conveyors equipped with absolute filters. Nilfisk doesn’t just mean “cleaning”. Nilfisk provides pneumatic conveyors to the injection production area. The pneumatic conveyor is able to transfer the plastic granulate from a large bag or silo to the hopper and then to the injection press. The system will run when the process needs granulate and stop when the hoppers is full. 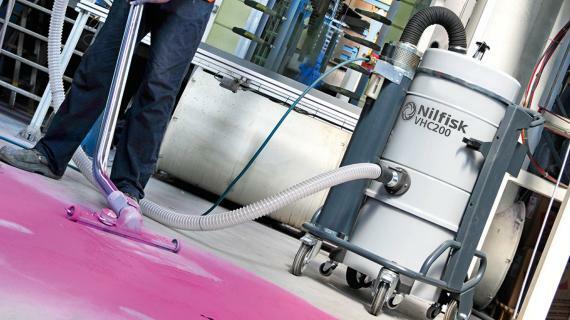 Injection press cleaning can be done easily with the Nilfisk VHO200, ECO-OIL or S3. Oil will be collected into the retention tank during the preventive maintenance operation, usually by the machine operator during working cycles. The vacuum minimizes work stoppages and increase productivity. 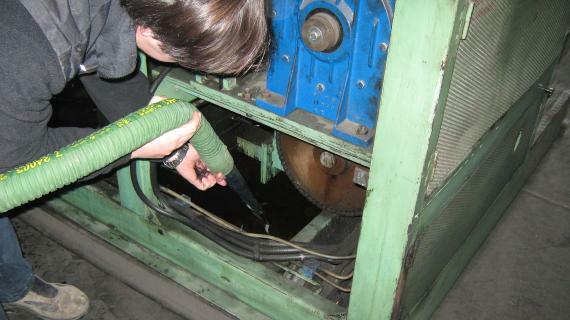 A single phase, 3-motor vacuum is used to quickly and easily clean the machine after a cutting operation. automatic valve. Material can then be easily discharged into the facility’s compactor. Collecting all type of residues mixed with oil. 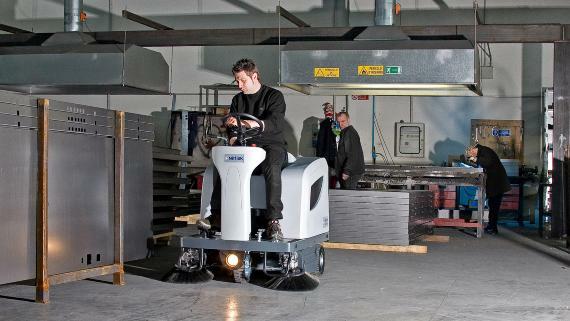 For collecting residues mixed with oil,, Nilfisk suggests an easy-to-move sweeper. 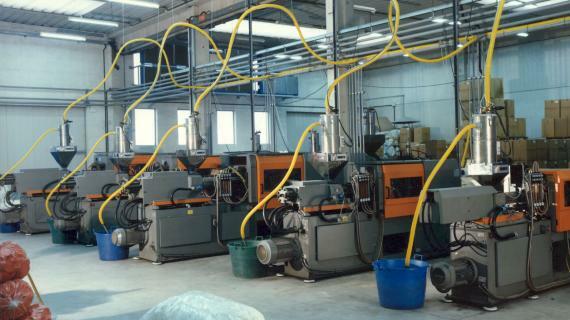 The suggested model for medium manufacturing areas, is the model SR100S. This model can easily collect all types of debris throughout the production area. 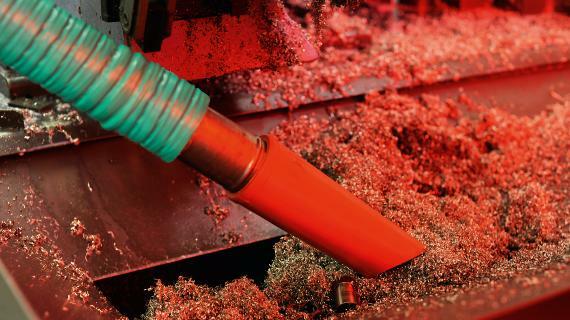 The continuous collection of dust and debris keeps production running and eliminates the kind of large cleaning projects that can often stop production. In chemical manufacturing, explosive atmospheres that contain flammable gases, mists, vapors, or combustible dust are common. 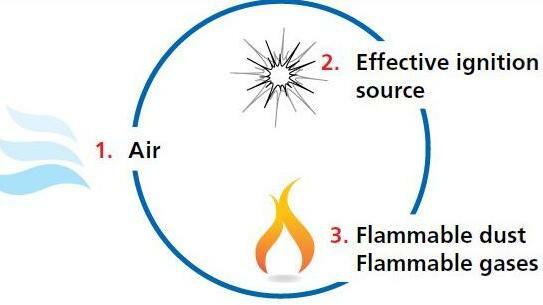 A sufficient concentration of these substances, mixed with air and an ignition source can cause an explosion. Nilfisk ATEX-certified industrial vacuum cleaners are highly valued by companies dealing with this type of hazard. They can be an important part of compliance with EEC Directive 89/391 (1989) on the implementation of measures to improve health and safety at work and they reduce the risk of explosions. centralized vacuum systems designed to meet the strictest safety standards.